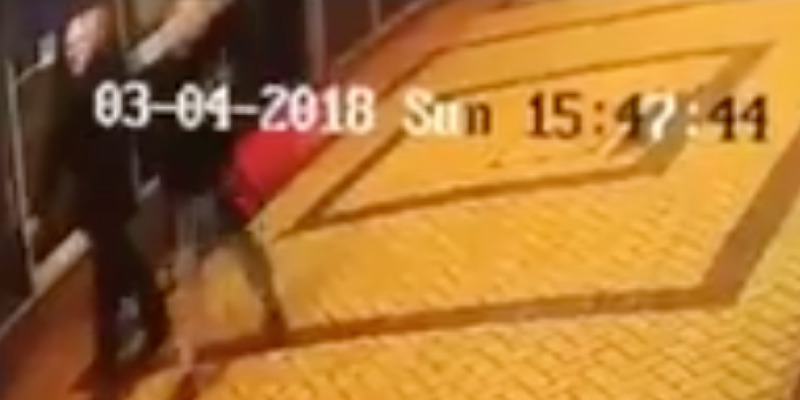 Sky NewsSky News obtained footage of Sergei Skripal being arrested by Russian security in 2004. Former Russian double spy Sergei Skripal was poisoned by nerve agent. Skripal and his daughter collapsed on Sunday and are in critical condition in a British hospital. He has been named as Sergeant Nick Bailey. The British police officer caught up in the poisoning of ex-Russian double agent Sergei Skripal has been named as Sergeant Nick Bailey. Bailey responded as Skripal and his daughter were exposed to a nerve agent on Sunday in Salisbury, south England. He was seriously injured but is now communicating from his hospital bed. The Russians were targeted deliberately and it is being treated as attempted murder by counterterror investigators. The Skripals are currently in a critical condition at a Salisbury hospital. It is highly likely that police officer Bailey was injured by the same nerve agent. He is being kept in an intensive care unit, but is “talking and engaging,” UK Home Secretary Amber Rudd said on Thursday morning. Dame Sally Davies, England’s Chief Medical Officer, said the poisoning poses a low risk to the public. When administered in high doses, nerve agents can have a catastrophic impact on respiratory muscles and the central nervous system, which can effectively suffocate victims to death,according to the Organisation for the Prohibition of Chemical Weapons. Smaller doses can impact vision, create saliva, a running nose, and a feeling of pressure on the chest. 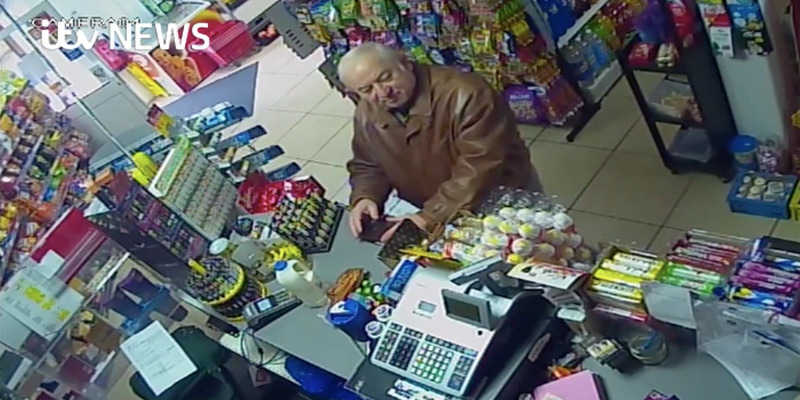 ITV NewsA CCTV image showing Sergei Skripal buying groceries near his Salisbury home on February 27, 2018. Rowley’s announcement confirms The Guardian’s report earlier on Wednesday quoting intelligence sources as saying that the Skripals were attacked with a type of nerve agent. Luke Harding, a Guardian reporter who previously lived in Russia,tweeted that it “now looks highly likely he [Skripal] was a victim of a state plot.” Russia has vehemently denied any involvement. The Sun previously reported military scientists on the case as saying the pair might have been poisoned with a “hybrid” kind of thallium, a hard-to-trace heavy metal commonly found in rat poisons and insecticides. Detectives originally thought former KGB spy Alexander Litvinenko was poisoned with thallium in London in 2006. Investigators were also considering the possibility that the chemical was sprayed in the Skripals’ faces, according to the Daily Mail. Press AssociationSergei Skripal on the day he collapsed, in CCTV footage obtained by Press Association. Skripal turned double agent in 1995 when he was recruited by the UK’s Secret Intelligence Service, MI6. He passed information to MI6 agents between 1995 and December 2004, when he was arrested. That was the verdict of a Moscow military court, which sentenced him to 13 years in prison for spying for Britain. He was released in 2010 as part of a spy exchange between Russia and the US, and was granted asylum in the UK, where he lived in Salisbury under his real name. 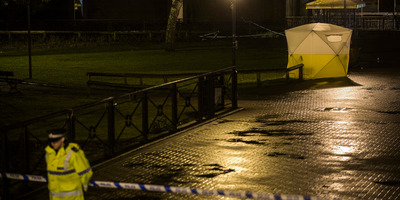 Dan Kitwood/GettyA forensic tent stands over the bench in Salisbury where the Skripals collapsed. Many experts and officials, including prominent Putin critic Bill Browder and UK Foreign Secretary Boris Johnson, have drawn parallels between Skripal’s suspected poisoning and the death of Litvinenko, an outspoken Putin critic and ex-KGB spy who was poisoned in 2006. Litvinenko died after drinking tea laced with polonium-210, a radioactive isotope. He accused Russian President Vladimir Putin of ordering his murder on his deathbed. Russia, meanwhile, has poured cold water on suggestions that it was involved in Skripal’s suspected poisoning. Kremlin spokesman Dmitry Peskov denied knowing any information about the case. The country’s embassy in London accused British journalists of demonising Russia.